informed, it's free, what are you waiting for? and we will find out what I can do for you! FROM LIVING WITH PAIN TO LIVING WITH PURPOSE! DO YOU FEEL TIRED, STRESSED, UNWELL, NOT HEARD OR SEEN? ARE YOU READY FOR PERSONAL LIBERATION AND TRANSFORMATION? How can I feel better, vitally healthy and vibrantly alive? How can I feel strong, happy, energized and self empowered? How can I have truly fulfilling relationships? WHAT IS YOUR LIFE'S STORY? The story of your life is unique, you have questions and want answers. You are not alone with your experience of physical pain, dis-ease, inner wounds, grief, fear, shame, confusion, anxieties and disillusionment. This side will give you the answers to re-energize and re-empower yourself, you can shift, balance, transform and heal your body, mind and emotions. It is time, isn't it? It is time to connect with this other side, at the Quantum Level. You can set your vitality and vibrancy free to express yourself joyfully! It is your birthright to feel the inner peace you have been longing for in this life. Allow me to be your guide in this journey of discovery. I assist my clients with their health concerns so that they can live an empowered fulfilled life. Together we go to a "place" of letting go and having it all to experience inner peace and the power of the lightness of the heart. Discover, or rediscover, how it feels to live a life of Self-Empowerment! In the consultations I assist my clients to free themselves of physical or emotional pain and painful beliefs, so that they can successfully shift the perception of their life's story, reclaim their inner strength and heal holistically from the inside out. They begin to live their life with joy and purpose, vitality, balance and f empowered and fulfilled. Whether your concerns are about your physical, emotional or mental health, about acute and/or chronic health conditions, I custom formulate transformational systems and integrative health protocols for my clients. I am able to interpret resonance fields and symptoms intuitively, and I provide tools, techniques, custom protocols, systems and action plans to evaluate and transform these concerns. Under "SERVICES" you will find more details and booking links. What issue do you wish to resolve and heal? What is the situation that affects you more than anything else? What is that activity that is the most empowering and uplifting? Physical, spiritual, mental and emotional components in your life are integral parts of your healing journey in this approach. When you are looking for a new direction in your life, are ready for liberation and transformation, the consultation program provides insights and tools to manifest lasting results. A NEW PERSPECTIVE IS WAITING FOR YOU NOW! 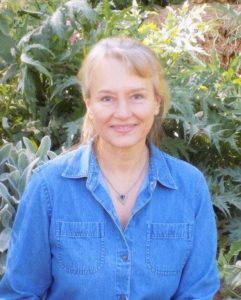 with a Doctorate in Naturopathy, ND, certified Naturopath for Psychotherapy, Functional Medicine Certified Health Coach, FMCHC, a Certified Nutritional Consultant, CNC, Western Herbalist, and also certified in Reflexology and Acupressure Therapy. My expertise is in Integrative Health, Naturopathy, Functional Medicine, natural energy healing protocols, transformational systems and their implementation at the "Quantum Level". Quantum Level Transformation® is my US trademark. Together we approach your physical, emotional or mental issues holistically and in the private consultations I provide the tools for energetic healing. After assessing and interpreting your issues, I create a customized plan in alignment with your energy field and unique current situation. Stress, Nutritional/ Digestive Issues, Allergies/Toxins, Sleeping Disorders, PTSD, Grief, Trauma, Depression/Anxiety, Cancer, Autoimmune Diseases, Degenerative Conditions, Inflammation, Relationship Dynamics, Self Esteem, Lifestyle/ Motivation Management Coaching or others. In light of recent events, both locally and around the world, please use this short meditation to help you to come back into the feeling of wholeness, strength and Self-Empowerment! "RECLAIM YOUR POWER, A 21 DAY JOURNEY"
"Quantum Level Transformation - The Handbook"
"3 Actions you can take right now to improve your health - without medication or surgery!" Any information provided in writing, audio, group seminars and individual consultations (phone, internet or in person), is not intended to be a substitute for medical advice, diagnosis or treatment. Please consult your medical professional adviser for that. 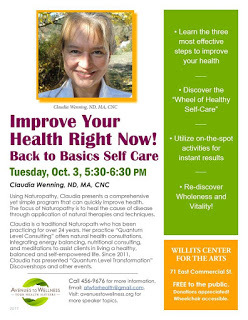 Claudia Wenning is a Traditional Naturopath and ND, not a medical Doctor, and does not diagnose or treat diseases, or prescribe medicine.The information, services and products offered are meant as lifestyle enhancement tools and not to be misunderstood as medical, psychological advice, diagnosis or treatment. She is not licensed to accept or bill health insurance companies.The material on this site is copyrighted (all rights reserved). 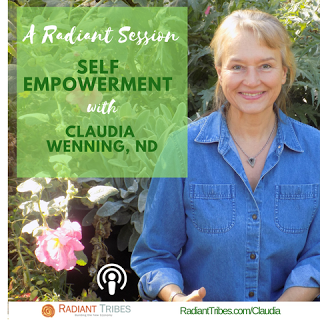 No part of this website may be reproduced or transmitted by any means without the written permission of Claudia Wenning. Quantum Level Transformation®- QLT®and Quantum Level Consulting ™ are registered or trademarked. All photos are by Claudia Wenning, public domain or marked with name of owner. By exploring this website you agree to all the above.